The Avengers weren’t the only ones who assembled this weekend. America, a diverse supergroup of bantering demographics, put aside its own differences for a greater cause—namely, to send the message that if it doesn’t entwine three or more franchises, or feature a cast big enough to star in a faithful David Copperfield adaptation, we don’t want to see it. Avengers: Age Of Ultron accounted for a whopping 85 percent of the money earned by the box-office top 12 these last three days. In fact, you could add up the weekend earnings of the next 11 grossers on the chart—you know, the films that don’t feature Nazi barons with monocles—and you wouldn’t account for a fifth of what Marvel’s blockbuster sequel has already made in the States. Only together, as a nation, can we vanquish the tyranny of films without unbreakable shields, unliftable hammers, and a part where the unliftable hammer hits the unbreakable shield, creating a whoosh effect that knocks a bunch of dudes over. Marvel, as usual, has good reason to celebrate, having officially delivered its 11th straight smash in a row. (The presumed 12th arrives in July, and is not directed by Edgar Wright.) That said, Ultron didn’t do quite as stop-the-presses, make-every-franchise-a-mega-franchise phenomenal as some were predicting. That’s one way of saying that while $187.7 million is enough money to make Tony Stark raise an eyebrow, it’s not quite the $207.4 million the original Avengers debuted to three summers ago. Ultron, in other words, will have to settle for the second best opening weekend of all time. Why did it make a hair less than its predecessor? There are plenty of reasonable explanations, including the decreased novelty of seeing these costumed characters on a screen together, the warm weather that swept the country, the confluence of major sporting events on Saturday, and the fact that it’s creepy to see two actors who played lovers last summer play siblings this summer. Or maybe, again, a few people just accidentally bought tickets to The Age Of Adaline, which did manage to jump up from third place to second place, despite the fact that its own ageless, unstuck-in-time character doesn’t carry an unbreakable shield or anything. Grossing $6.2 million, the counter-programmed melodrama edged out that other team-effort blockbuster, Furious 7, which finally “lost” a weekend after a month at the top. (That billion and change it made globally will probably soon be surpassed by Ultron, which has already collected more than half as much in its second week of international release.) 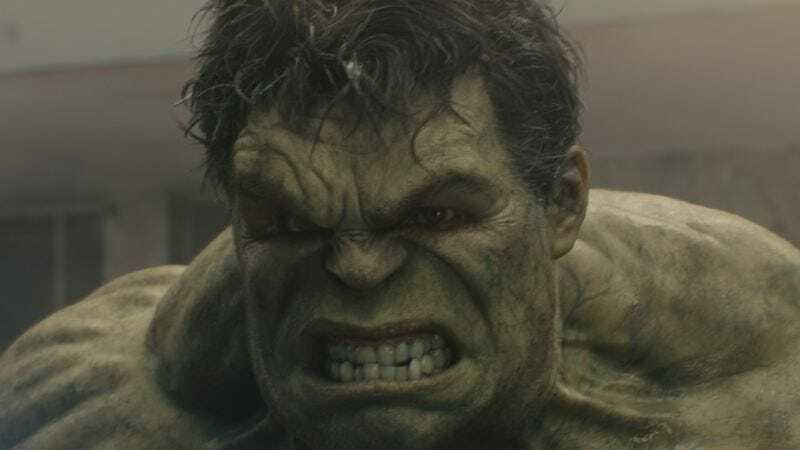 The other puny movies smashed by Hulk and his friends included the second Paul Blart vehicle ($5.5 million), the umpteenth Cinderella adaptation ($2.3 million), and a movie about a Little Boy ($792,000) with Ultron-like powers of destruction. Check back here next week to see if yet another band of heroes, starring in their own second installment, can do aca-ceptional business in the age of Marvel.